The Editorial Staff of Red Ink Magazine, the oldest Native run student publication in the nation, devised to celebrate and amplify Native voices and Indigenous issues is proud to announce the release of the latest volume. 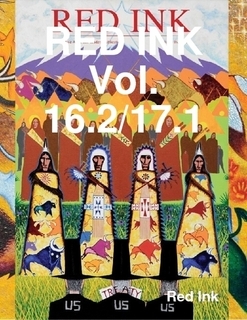 Red Ink Vol 16.2/ 17.1 (Double Issue) will be hot off the presses in the coming week. Established in 1989 at the University of Arizona,Red Ink has published the creative writing, scholarly research, art and photography of well-known and up-and-coming individuals throughout the Americas. The work of noted writers like Vine Deloria Jr., RigobertaMenchu, Lora Tohe, Sherwin Bitsui, Simon Ortiz and a host of others has graced the historical pages of the magazine. In recent months the publication has faced numerous challenges including a major move, but with the dedication of a relentless staff it proves to be a twenty-two year old winner that refuses to succumb to the challenges of tough social and financial challenges. “We are proud of the end product for this issue which is packed with some of the best literary and visual artistry in Indian country,” comments Sheila Rocha, Red Ink Publicist. Some of those names include award winning cover artist Donel Keeler, Santee and national acclaimed painter Gerald Cournoyer, Oglala Lakota. 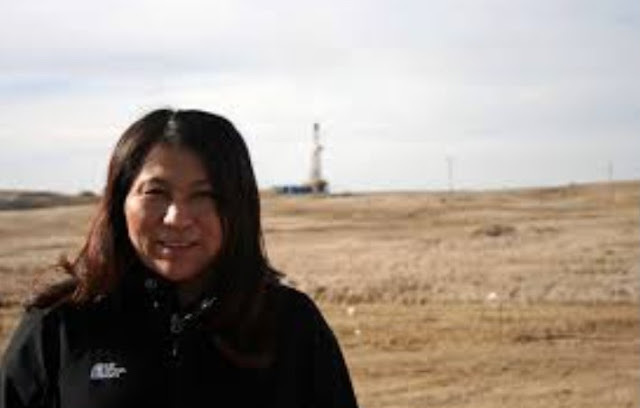 The literary work of Joy Harjo,Muskogee and environmental essay writing of Debra White Plume, Oglala Lakota “magnify the fervor of the creative spirit that refuses to be silenced,” says Rocha. A release party to celebrate the new edition is in the planning stages in Tucson, Arizona.